He's often said he's dreamed his whole life of "flying through the air like a bird," and today he did it. Here's Rev. 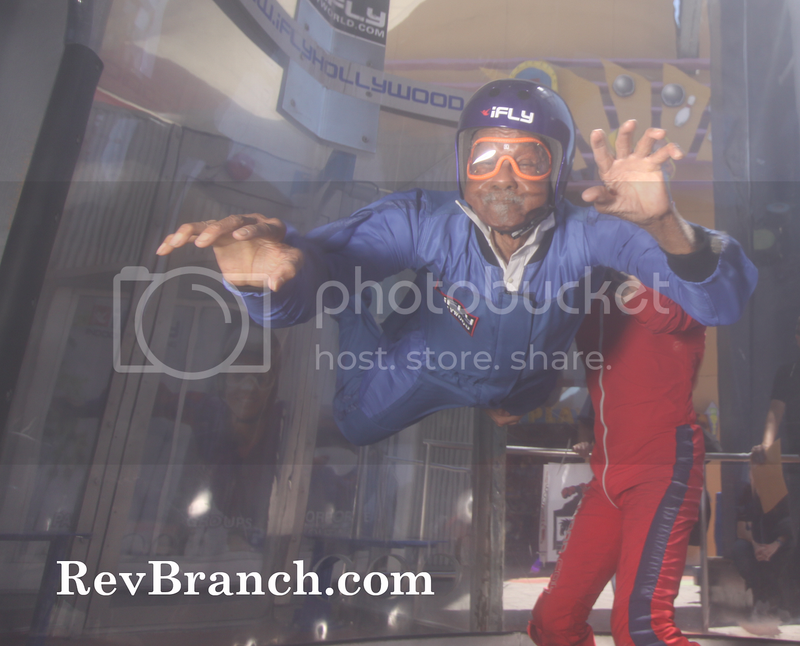 Branch, at 83 years old, in flight. "Lord, Lord You Been So Good to Me"
Thoughts & Reflections: "Up Against It'"
"I'm the type of person who believes in sharing, expressing love and caring ... and most people don't like that. They don't want that. They want something exciting." "Its No Secret What God Can Do"
Featuring Sister Jean Branch, vocal. Guitar and vocal, Rev. Raymond Branch. To view a 2011 performance of "Rollin'" with Josh Alan Friedman, click here. Thoughts & Reflections: "People are People"
"When I was a little boy, I just found that people is people, and I let it go at that." Recorded at the Heavenly Rainbow Baptist Church, April 2014.